High-performance, solvent-based, and fast-drying stain-proof treatment for natural stone, terracotta and agglomerate marbles. 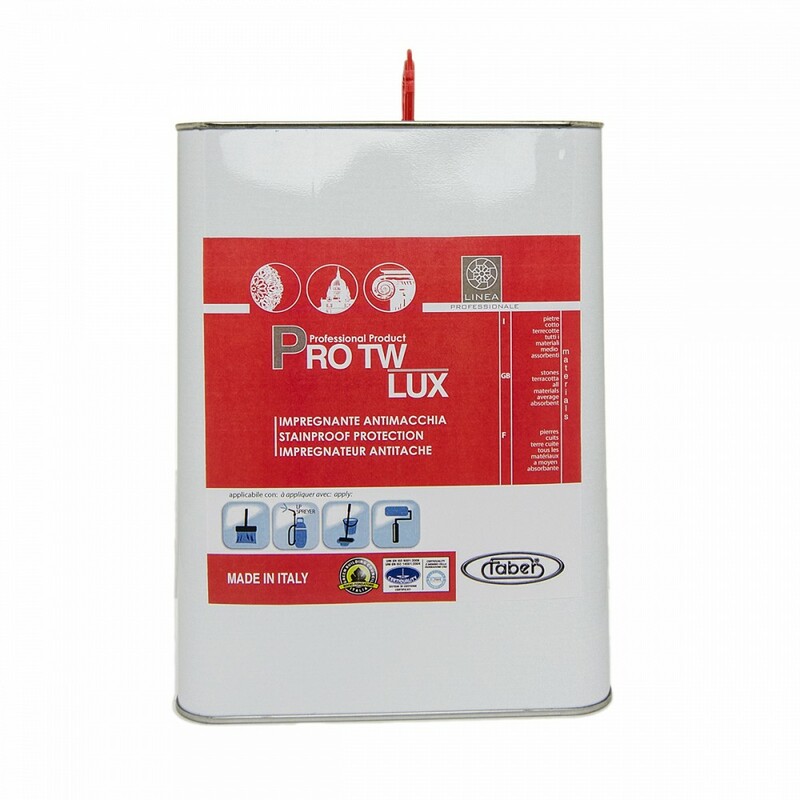 PROTW LUX is a protective, fast-drying, stain-proof treatment, specifically developed to give top-ranking, lasting protection against stains to natural stone and all materials requiring it. PROTW LUX is quick and easy to apply; it forms no surface film and therefore, it does not change the original breathability of the treated surface. PROTW LUX is a neutral product that will not change the colour of the materials to which it is applied, but in some cases, it will bring out the colour of surfaces that are more sensitive to changes in tone, due to absorption. It is resistant to UV rays, will not yellow over time and is suitable for use on indoor and outdoor surfaces. PROTW LUX is also certified for use with foods and therefore, it can be used to apply stain-proof treatment to kitchen worktops. PROTW LUX can also be used as a surface stainproof treatment in conjunction with a high penetrant water-repellent primer.